Chinese upstart Xiaomi announced its long-in-the-making flagship smartphone, the Mi 5, last Wednesday. Since then, the company had been keeping registrations for the device's flash sale tomorrow open in China until 6PM today. By the time the registration period expired, Xiaomi racked up over 16.8 million registrations in just 5 days. With its saliva-generating price tag, bustling spec sheet and elegant design, the interest stirred by the smartphone is hardly surprising. 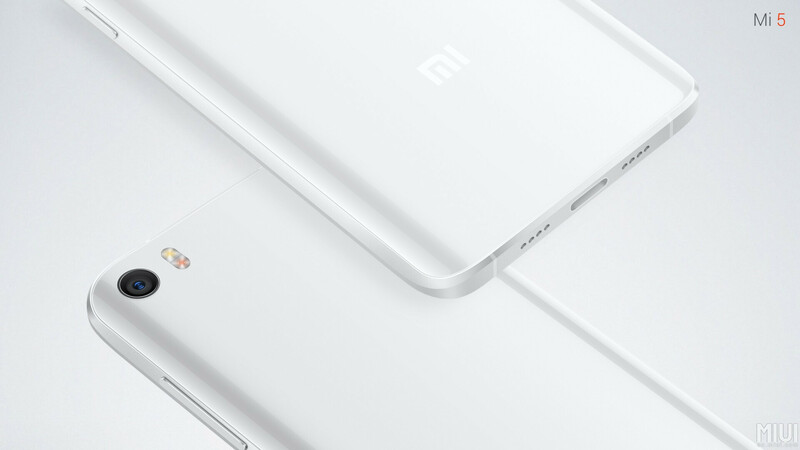 Xiaomi has a cult following in China, and fans of the brand had been waiting more than 18 months for a successor to the Xiaomi Mi 4. It looks like the Mi 5 lived up to expectations. Over 16.8 million users registered for tomorrow’s flash sale. Xiaomi's first Mi 5 flash sale will commence at 10 AM tomorrow, March 1. The company will make two variants available for sale – the standard 3GB RAM + 32GB storage and 3GB RAM + 64GB storage versions. It appears that only the white version will be sold tomorrow, as there's no word on the black edition or even the exclusive top-end ceramic version for now. The first batch of handsets will probably go out of stock in mere seconds, so if you want to pursue the opportunity, you better have lots of patience and nimble fingers! Despite its premium design and impressive spec sheet spearheaded by the Qualcomm Snapdragon 820 processor, a 5-inch 1080p display, and a pair of competent cameras, the Xiaomi Mi 5 is priced very affordably in China. The base model with 3GB of RAM and 32GB of storage starts from ~$306 (2000 yuan), the 3GB RAM / 64GB storage goes from $352 (2300 yuan), and the Ceramic Exclusive version with 4GB of RAM and 128GB of storage is sold for $413 (2700 yuan). At these prices, the Mi 5 is an extremely competitive handset. It will be interesting to see how many units Xiaomi will manage to move tomorrow! It will take only 10 to 15 second to clear there stock! Wouldn't it be better if he wrote "mouthwatering" instead? it is not all about Hardware . Samsung , Apple ,LG , Sony refinements in hardware and software over the last years worth the higher price . LOL WHAT? Samsung? The company that made flagship phones that cant open more than 6 apps before the apps having to restart? The company that sells flagship phones with beasty specs and 4gb ram that still lag more than its competition? What phone is this? The S4 you're talking about? First off, as far as apps restarting, only certain ones do. The ones built into the phones firmware/stock apps, typically don't restart. But the 3rd party ones are hit or miss. But so what if they do?! Not a deal breaker for me. Also, I can open 100 apps on my Note and the only ones that will restart will eb the same ones that will even with no apps open, which means you are wrong in your 6 app claim. After all, your device already likely has at least 10 apps already running in the background. MIUI is something which you can never understand until or unless you try once. After you use MIUI, you will realize how many bloatwares were lying on your phone uselessly..
Good point. Samsung needs to shift the S7 with 6gb Ram. That touchwiz takes over 2 gb Ram. I didn't mean only samsung btw. but if you mention it , Samsung galaxy series started before a company called Xiaomi was founded , I don't mean anything but to reach the level of an iphone or S7 of G5 , it takes years of work and development and mistakes to learn from . at least for me , Samsung laggy touchwiz at its worst cases , not talking about the new touchwiz in note 4 or 5 , was like window 7 for me ,yes there were crashes from time to time but I was happy using it . I don't think much people pay attention to details , but there is so much little things in software that is very useful ,you need to use a samsung as your daily phone for a while and know what it can and what you need before judging . and talking about hardware and the super amoled display and the color accuracy on s6 or note 4 or 5 or s7 , the cooling system ,the design ,it takes generations to reach this level. what I want to say you can make a beautiful phone but you may find it not comfortable so the next generation you fix and refine and in case of galaxy S it took 7 generations now . I didn't tried Mi series before and don't know if they were good , but if a new car is just released from a china , I won't believe it is better than a bmw , even if it shares the same motor . Besides , I think all the new phone manufacturers still suffers from the basic bugs in hardware and software that were fixed in maybe samsung galaxy s3 , just open official Xiaomi forum and read the bugs of their latest devices . you can be happy reading a review or testing the phone in store but you will not be happy using it everyday . My brother has LG Optimus G with MIUI installed on it. I had LG G3 with MIUI installed on it. I don't know what software improvements are you talking about. That black one just looks awesome. Wow! $400 for 128GB of storage. You see guys, how much Apple and Samsung and any OEM who has 128GB phones is priced so much higher? In Apple's case, they buy storage 3rd party, so they would be cheaper than a first party solutions like Samsung uses in their phones. So that means the iPhone's bearing 128GB should be even cheaper than the above, and Samsung's solution would be slightly higher than Apple being first party parts. Both should be as cheap as the OEM above. Now we have an idea how much we are getting ripped. Though UFS 2.0 or 3.0 I expect havign more recent tech and being faster than what the above OEM is offering, I expect some slight increases in costs. But still we are gettign robbed. Amazing how it looks like the back of the Note 5 and S7. And the name, mi "NOTE" is a ripoff of the galaxy Note series itself. yeah because having a similar name is such a big deal compared to having similar design. *facepalm just accept it, Samsung copies from everybody, Note 5 has 2010's iPhone body, with addition of Mi Note backs, and man couldn't be any cheaper with that slightly rectangular home button from iPhone, really pathetic copycat. I agree with you it looks very similar! Xiaomi will kill pretty much every other android manufacturer this year in China. Huawei, Samsung, Meizu eveyone will suffer and their market share will fall even further in China.